Buying a futon for a small space is now easier than ever. Smaller sizes provide the same comfort and reliability as the larger ones. 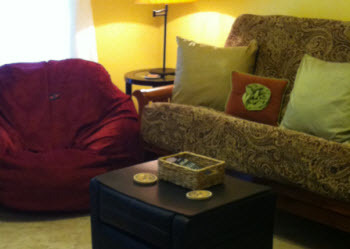 Chairs with ottomans and twin chairs that open to a standard size twin bed are our most popular. They even lounge for reading or relaxing in a bedroom. 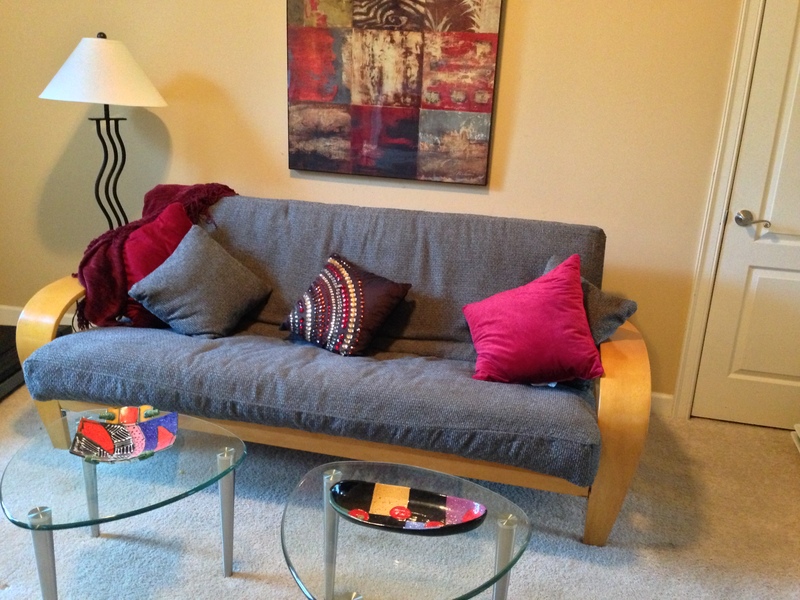 Loveseats can accommodate two for sitting and turn into a full size bed for sleeping and also go into a lounge position. Regular full size sheets work when using as a bed. No need to purchase anything special. It's that time of year again when everyone seems to be in front of their big screen TV Watching Football. The guys are yelling and eating, the women are talking and eating, the kids are running around. Now why do you need a futon? Football and futons go hand in hand. Here's why. One benefit of kids leaving home is the extra room you gain. And of course there's less laundry, less food consumption, and generally less mess. You now need more versatile furniture to fit your lifestyle? A futon just might be your answer. 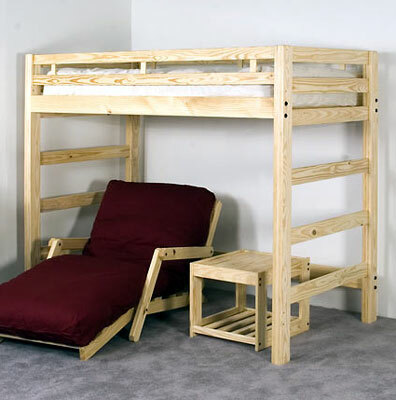 Futons fill the gap between a sofa and an extra bed whenever you need it. You don't have to spend a fortune to refurnish a room. Now is your time to re-make a room for you with the colors and furniture that makes you comfortable. Remember that kids return from time to time and you'll want a comfortable place for them to sleep when they do. 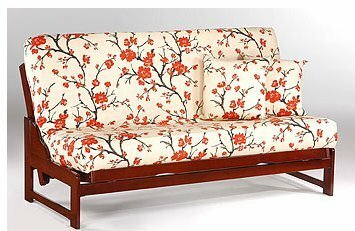 Millions of people are discovering revolutionary futon furniture, the modern alternative to conventional sleeper-sofas. 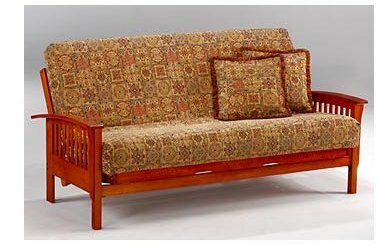 Take a tour through our web site futonstore-memphis.com and discover the versatility, functionality and value of beautiful, modern futon furniture. 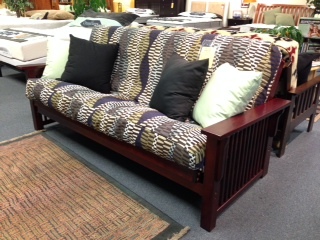 Daybed or Futon for Your Spare Room? Have you been thinking about using a day bed or futon in your spare room? Which do you think would work best? There are some basic differences in the look of the two and in the feel. 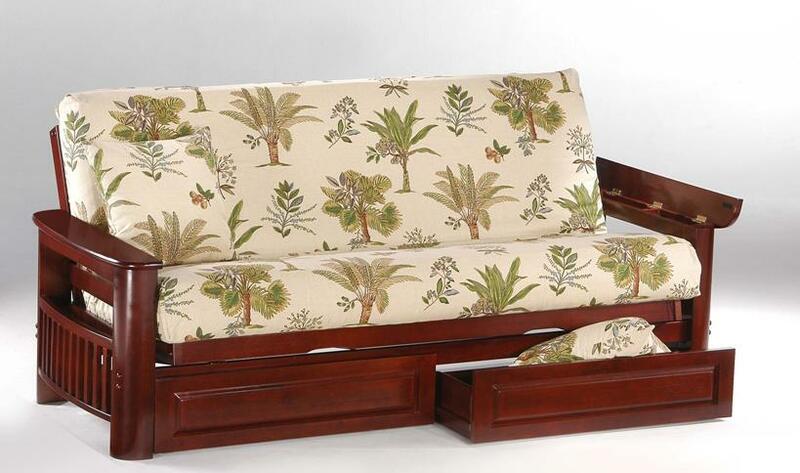 Daybeds come in a variety of styles and sizes but look like a bed. Futons are like a sofa that opens to a bed. There are many colleges and universities in and around the Memphis and Mid-South area, to name a few; University of Memphis, Rhodes College, University of Tennessee Medical and Dental School, and Christian Brothers University. Oh, and lets not forget Ole Miss and the other smaller campuses scattered all around the area. Off to college in a few weeks? Then it's time to start thinking about what you will be needing in your dorm room or apartment. After checking off the personal stuff on your list, comfort needs to be a priority. If you are moving into a dorm for the first time, dorm rooms can be drab and dull and furnished with only a bed, desk, chair and chest. They are small and functional but don't give you the comfortable and cozy feeling of home. That's where your innovation and creativity comes into play. There are a lot of inexpensive items to make you feel ready to live in the dorm for the next 9 months. You don't have to go far to find a room to build a great man cave. If you don't have a room inside your house, then move to the garage or right behind your house into a storage shed building. These work great! Many men just want their own space to do hobbies or outdoor activities. An outdoor rustic headquarters works well, too. Just think ladies, it won't mess up your house if the man cave is not one of you interior rooms. Houzz.com describes a man cave "as the architectural equivalent to hanging out with you mates." Sort of like the old days, with a tree house and no girls allowed! Pool house, Office, A Man cave for you. Spare room, Living room, They all will do. Get moving on the open road with comfort and style. Fresh air and a smooth ride sitting on your futon in a RV, 5th wheel or mobile home? 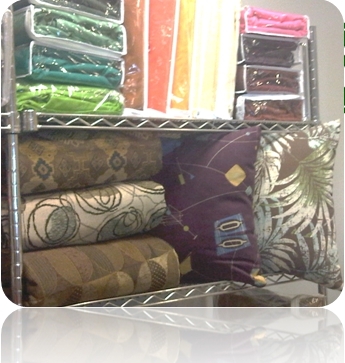 We have the perfect solution to make your space comfortable. Futons with plush mattreses, or oversized bean bags that open into beds are easy to move. Shelving to hold your books and tapes add extra storage.